Last year, I started the tradition of a year in review, where I share the top 10 articles from that year. 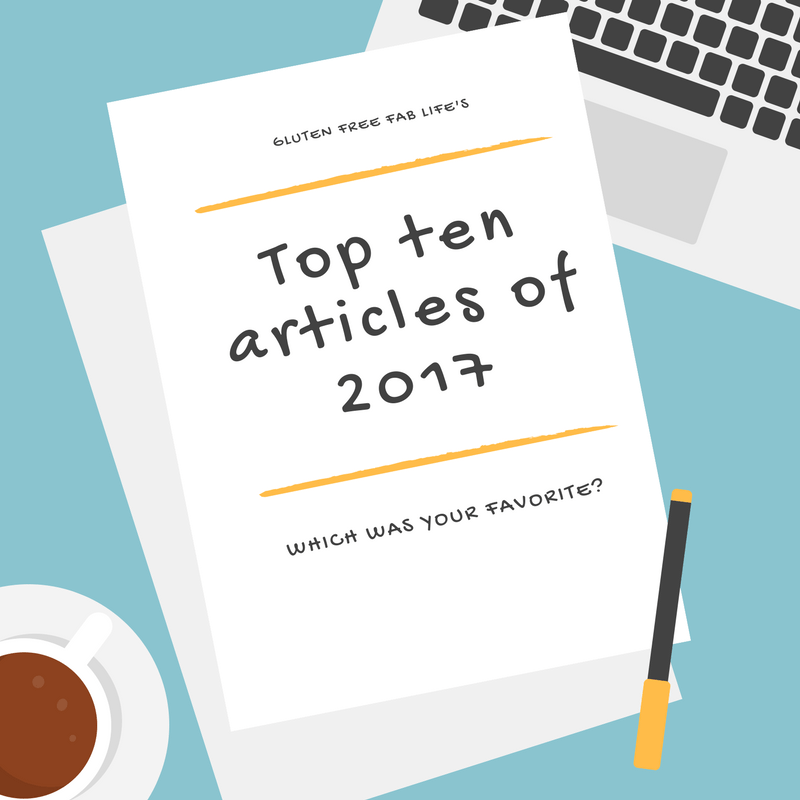 We kicked off 2017 with the top ten articles from 2016; let’s see what you were reading this year! Apparently everyone can relate to the passenger served a lone banana as his airplane meal. We’ve all been there. This one focused on the substitutions I bought (like cooking fats) and cleaning out the pantry to prepare myself for a month of clean eating. In February, I moved cities, started a new job, moved into my own place, and bought a car. I was overwhelmed, but I was trying to build healthy habits as I went. It took a few months before I really got it right, but I ended up losing 25 pounds this year. A variety of plain, sprinkled, and iced unicorn cookies. 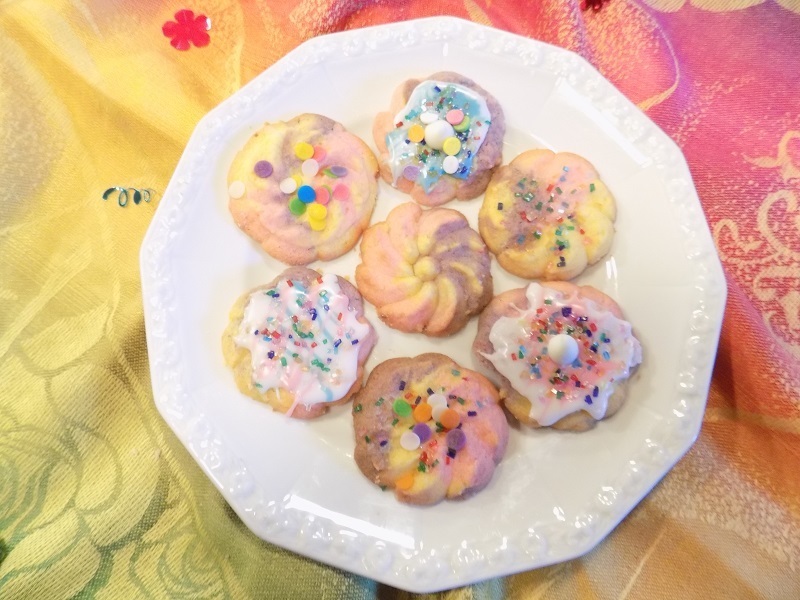 Both recipes from 2017 made the list this year, these rainbow, sparkly cookies were a hit with the family and readers alike. Clearly a resolution for 2018 needs to be more recipes! My book recommendations from the beginning of the year included emphasis on improving relationships, choosing a direction and getting what you want. In hindsight, I’ve really used what I learned from Designing Your Life: How to Build a Well-Lived, Joyful Life by Bill Burnett & Dave Evans (2016) throughout the year, with a lot of success! 5. Can Whole 30 help me sort out my stomach? This was when I decided to try a drastic change in my diet to try and address some ongoing malabsorption and inflammation issues. I talked about what the diet entails and what I was most worried about. In the end, the diet really did help (8 of the 25 pounds I lost were in the Whole 30 month) and I felt so much better afterwards. 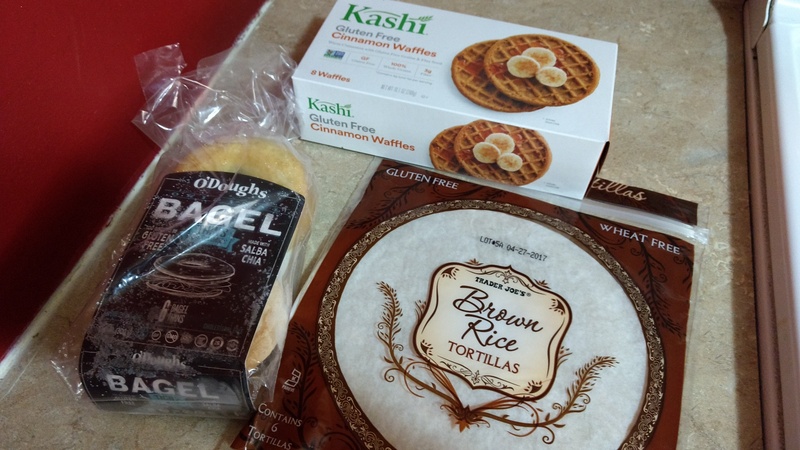 This December news round up also included Nima testing several popular candies, and some big questions about fructan and gluten sensitivity. I wrote this one as an assignment for a social media marketing class and liked it so much, I published it. Apparently you liked it too. 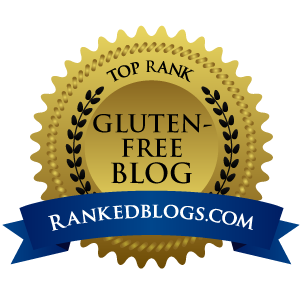 It gets into allergy versus intolerance and how to do an elimination diet. I found some new-to-me products and tested them out. Since then, I’ve learned the bagels have soy flour in them, so I can’t eat them any more. Womp womp. For the second year, a recipe tops the list! One of the biggest complaints I hear is that gluten free pretzels are hard to find, and hard to make. We’ve made it as easy as possible for you, and they are delicious too. Due to ties, you actually got this year’s top 11. Which story was your favorite? What would you like to read about next year? Tell me in the comments!